SFP is short for small form factor. It refers to fibre optic transceivers supporting 1Gbps data rate. Except SFP, current market is full of various types of fibre optic transceivers, such as QSFP, QSFP+ and QSFP28. At the first sight, these transceiver modules are very similar. But actually, they have big differences. To know the difference clearly is good to make the right choice for your network connection. So what are the differences between QSFP, QSFP+, QSFP28? “Q” of QSFP means quad (4 channels). QSFP is a compact, hot-pluggable transceiver used for data communications. The QSFP specification supports Ethernet, Fibre Channel, InfiniBand and SONET/SDH standards with different data rate options. QSFP transceivers support the network link over singlemode or multimode fibre patch lead. QSFP modules are commonly available in several different types: 4x1G QSFP, 4x10G QSFP+, 4x28G QSFP28. From this side, QSFP vs QSFP+ vs QSFP28 all share the same small form-factor. literally QSFP uses 4x1G lanes and was only found in some FC/IB contexts. While QSFP+ transceivers, evolving from 4x1G lanes (QSFP) to 4x10G lanes, are designed to support 40G Ethernet, Serial Attached SCSI, QDR (40G) and FDR (56G) Infiniband, and other communications standards. 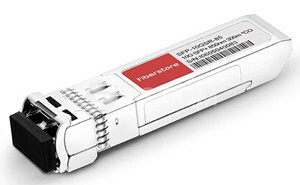 QSFP+ standard is the SFF-8436 document which specifies a transceiver mechanical form factor with latching mechanism, host-board electrical-edge connector and cage. QSFP+ modules integrates 4 transmit and 4 receive channels plus sideband signals. Then QSFP+ modules can break out into 4x10G lanes. QSFP+ modules are used to connect switches, routers, Host Bus Adapters (HBAs), enterprise data centres, high-performance computing (HPC) and storage. But some may think QSFP as the same with QSFP+, especially in the Ethernet world. QSFP+ and QSFP28 differs in “28” as the name says. QSFP28 is a hot-pluggable transceiver module designed for 100G data rate. QSFP28 integrates 4 transmit and 4 receiver channels. “28” means each lane carries up to 28G data rate. QSFP28 can do 4x25G breakout connection, 2x50G breakout, or 1x100G depending on the transceiver used. While QSFP+ supports the data rate of 40G, 4 channels for transmitting and 4 channels for receiving, each lane carrying 10G. QSFP+ can break out into 4x10G or 1x40G connection. Usually QSFP28 modules can’t break out into 10G links. But it’s another case to insert a QSFP28 module into a QSFP+ port if switches support. At this situation, a QSFP28 can break out into 4x10G like a QSFP+ transceiver module. One thing to note is that you can’t put a QSFP+ transceiver into a QSFP28 port to avoid destroying your optics. Compatible with major brands such as Cisco, Juniper, Arista, Brocade, etc., FS.COM QSFP+ and QSFP28 modules can support both short and long-haul transmission. Here lists our generic QSFP+ and QSFP28 modules in the following table. The difference between QSFP vs QSFP+ vs QSFP28 has been stated clearly in this article. Though QSFP is thought as QSFP+, when talking about 40G, actually we mean QSFP+. QSFP+ vs QSFP28 mainly differs in data rate and breakout connection. So you must be sure what you need is 40G QSFP+ or 100G QSFP28 for high density applications, especially when connecting with 10G SFP+. Related Article: How to Match Fibre Patch Cable for Your Multimode SFP? This entry was posted in Fiber Optic Transceivers and tagged QSFP vs QSFP+, QSFP+, QSFP+ vs QSFP28, QSFP28 on April 17, 2017 by laura. 24AWG vs 26AWG vs 28AWG Ethernet Cable: What Is the Difference? Cat6 Flat vs Round Ethernet Cable: Which One to Choose? Gateway vs Router: What’s the Difference?